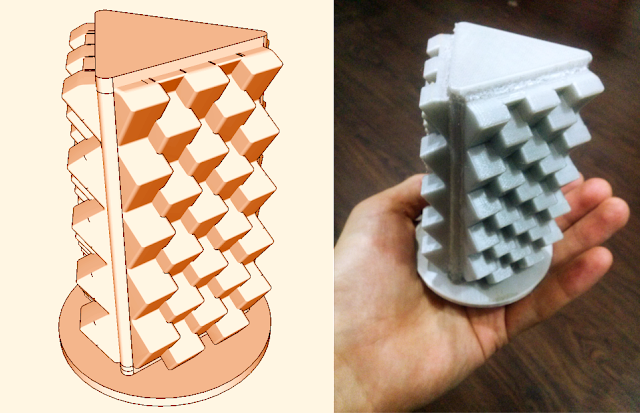 October 24, 2015 | BIT Magazine With 3D printing, if you are working on a relatively small-sized object, you can go from a sketch or 3D model right into a physical, working prototype. But what if your object is much bigger, like say the size of a refrigerator. And say that it requires some prototyping you really don't want to do by building a full-sized version just yet. Can 3D printing still help out? Sometimes an initial design is too big to go from a sketch directly to a full-scale prototype. Enter: scale models. That's where a scale model might come in handy, and it is something that has been made infinitely easier to do, and possibly a much more useful process through the use of 3D printing. Modelling is a hobby in its own right. Not unlike sketching objects, making models either physically or in 3D helps you gain a greater understanding and appreciation of an object of interest. It is one thing to look at an airplane or rocket, it is another to build one -- or even a scale model of one. When you are done and have a physical representation in front of you, you understand the structure from every angle, the mechanics, the proportions, and maybe even some of the production processes that went into the actual object itself you are modelling. And because of that, the building of scale models is also a great way to prototype something too big to make a full-scale prototype of at first. A recent example of a 3D printed scale model used for prototyping is GreenEvolutions Aquaponics' new aeroponics tower design. Bangkok-based makerspace Maker Zoo is helping with the 3D design. When built, it will be pretty big, in fact, too big to prototype off-the-cuff like some of the smaller projects Maker Zoo has worked on in the past. 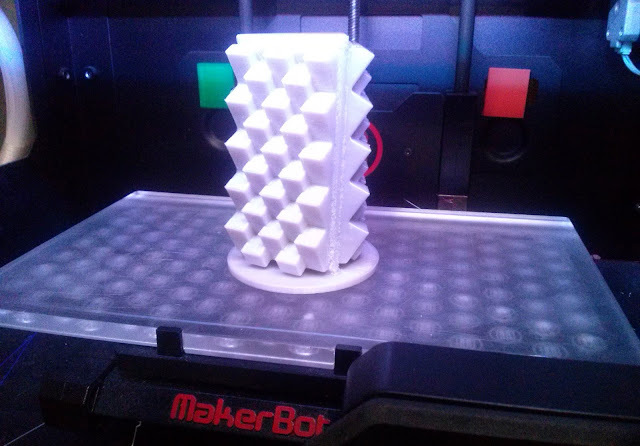 But because the 3D digital design created for the project is easily scaled within SketchUp, it was possible to easily 3D print out a smaller version with Maker Zoo's MakerBot Replicator 2. What resulted is a model that fits in the palm of your hand. The model helps in a lot of ways. 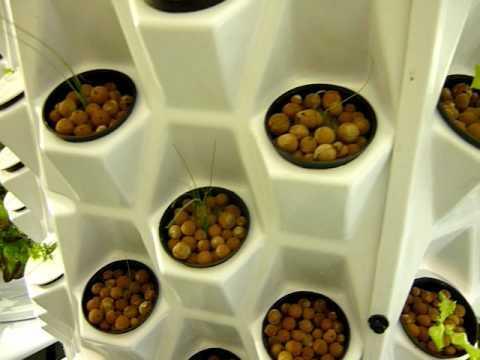 It now allows GreenEvolutions Aquaponics to start thinking about how they will actually fabricate the full-scale system. 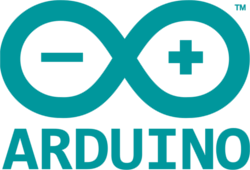 It also allows them to bring the model with them to potential manufacturers and suppliers who might help when building the actual, full-scale prototype. One potential method of production is vacuum forming the panels that will hold the aeroponic planting pots. Having a scaled down version of the actual mold that will be used can allow manufacturers to tell GreenEvolutions Aquaponics whether or not their shape is viable or if it needs to be modified. When finally constructed, GreenEvolutions Aquaponics' aeroponic tower will look similar to other such towers like the one above. In all, models are a lot of fun and a fairly popular theme in 3D printing. On MakerBot's Thingiverse, SketchUp's 3D Warehouse, or Ultimaker's YouMagine, one can find all sorts of models to print out. Understanding the utility of models and their place within the prototyping process makes them all that much more interesting and exciting.